knowledgable and professional staff would also be a nice addition. 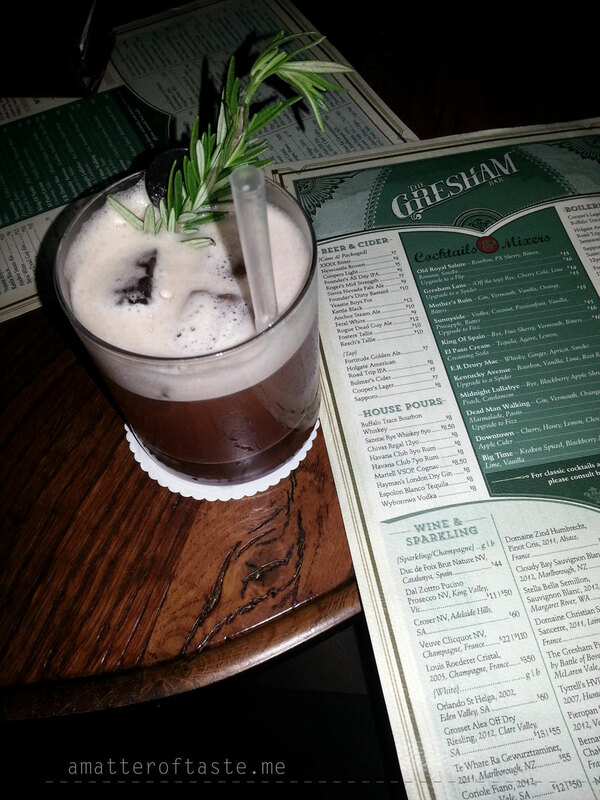 We started our research on Friday night at The Gresham Bar. It’s located in the NAB building and when I walked past couple of nights earlier I had a feeling it’s a more of a “grown-up” kind of place – the decor and the look of the bar made me think so. I was pretty disappointed when we walked in and we were hit by a wall of loud music. Are we staying for one cocktail? Quick look at the menu – quick because the cocktail menu is surprisingly short and it was a bit too dark in there for reading anyway, and we decided to give it a go. I went for Big Time based on a spiced Kraken Rum, guys settled for a basic g&t. Talking in a normal way was almost impossible, so we just sat there and looked around. It didn’t meet our requirements so we moved to the next place. A&C was a one loud house on Friday night, we didn’t even bother coming in. Fortunately for us, Alfredo’s is just next door and if you’re lucky (like we were) there will be a table in a more quiet corner. 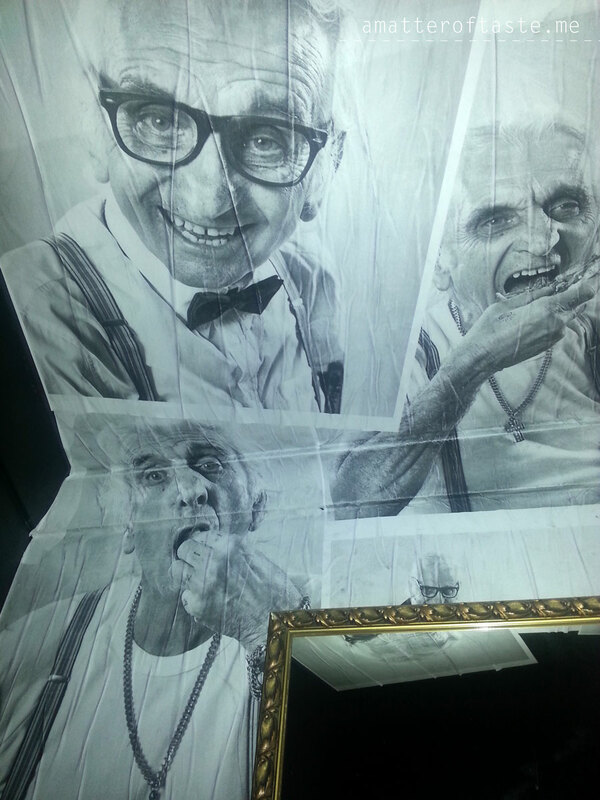 We settled there for the rest of the night, enjoyed fresh, tasty pizza and couple of g&ts. Good but didn’t tick all the boxes. 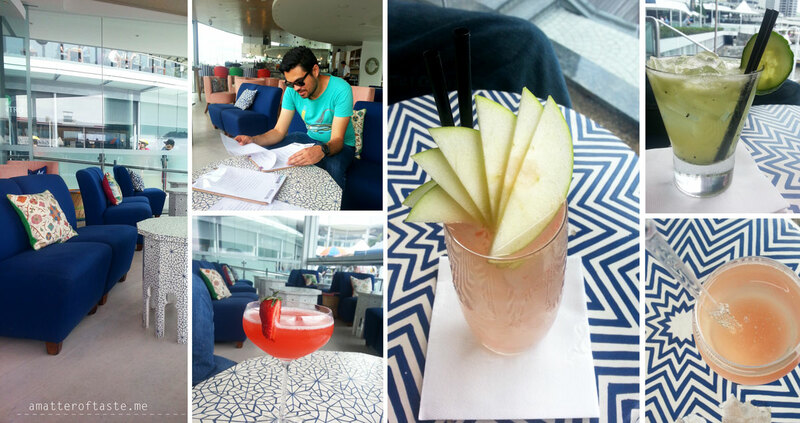 Torba was tempting me with their cocktails for a while now and this weekend was a perfect excuse to try them. We arrived about 7pm and it seemed to be a good timing – live music just started and we still were able to get a table (if you’re heading there on a weekend it’s better to book ahead). Finally a place providing us with some choice – the list is really extensive. We tried couple of different cocktails & enjoyed the live music, but we still didn’t feel like it’s exactly what we were looking for. I’ve been to cove couple of times, usually for a small lunch and coffee and I really like the place. Great river views, lovely looking bar and quite good cocktail indeed. But it was just a quick stop that night. It didn’t have the right vibe for us. Stop 6 – Mr & Mrs G – our favourite! Our friend was telling us about all the great bars & cocktail places in Melbourne while we were walking in the home direction. This is my last hope, to show you we have some cool places in Brisbane too – I thought as we walked in. We were given quite a long list of cocktails, wines and other drinks (tick), we sat on comfy, soft chairs (tick), music was playing in the background – loud enough to hear it, quiet enough to be able to talk without shouting (tick). Cocktails came nicely presented, our expectations were high already. And then after first sip all three of us had the biggest smiles on our faces. Tick. Cocktails are great. Did I say it’s also very close to our place? Tick! And the cherry on top – staff is excellent there. Yes, we stayed longer. Yes, we came back the next day. Yes, we’re planning to go there whenever we want some cocktails. All photos were taken with phone cameras (I’m sorry! ), I couldn’t risk taking my big camera to a bar crawl. They also do Margarita Mondays.